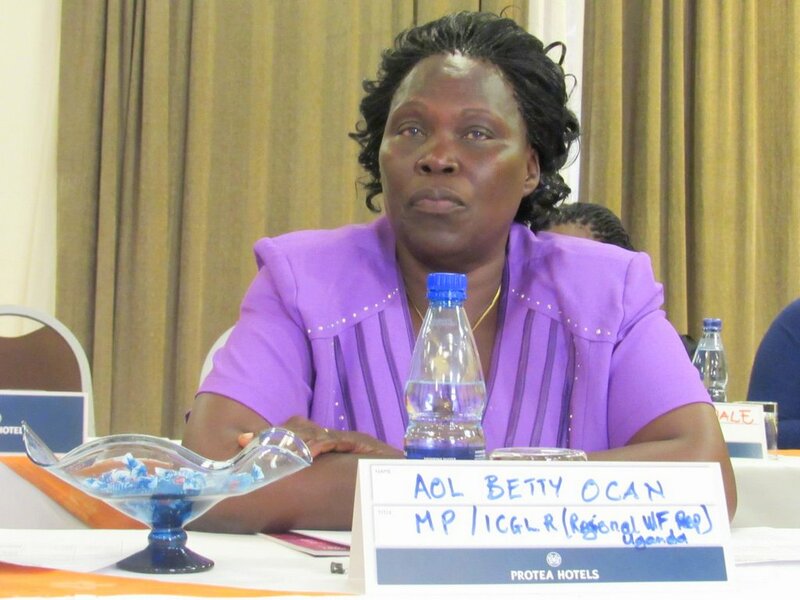 The Forum for Democratic Change (FDC) has named Gulu Woman Member of Parliament Betty Aol Ochan as new Leader of Opposition in Parliament. 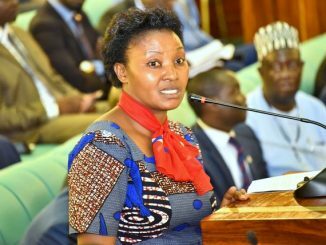 She replaces Kasese Woman MP Winnie Kiiza who was dropped after two years of serving in the position. Betty Aol has been named in the new party parliamentary leadership reshuffle announced this afternoon by the FDC party President Patrick Amuriat Oboi. The Party has maintained Kiira Municipality MP Ibrahim Ssemujju Nganda as the Opposition Whip in Parliament. 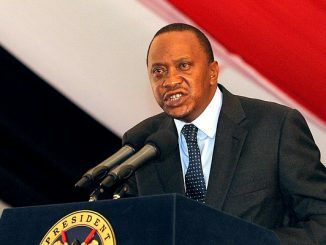 He will be deputized by Bukonzo East MP Harold Tonny Muhindo who takes over a post hitherto held by Rukungiri Municipality MP Roland Mugume Kaginda who has been nominated as a member of the Inter-Parliamentary Union (IPU). Oboi also named Francis Mwijukye as a Parliament Commissioner dropping Dokolo Woman MP Cecilia Ogwal and nominated Mukono Municipality MP Betty Nambooze as a representative at the Commonwealth Parliamentary Association (CPA), Busongora North MP William Nzoghu as a Pan African Parliament (PAP) representative while Mbale Municipality MP Jack Wamai Wamanga is sent to represent FDC at the African Caribbean and Pacific Parliament (ACP). The FDC Party President has also reshuffled chairpersons of accountability committees appointing Budadiri West MP Nathan Nandala Mafabi as new Chairperson of the Public Accounts Committee (PAC) and Chwa West MP Okin P.P Ojara as his deputy. 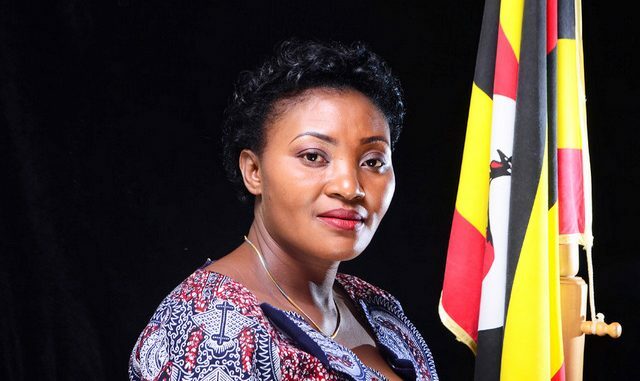 These now replace Soroti Woman MP Angelline Osegge and Ntungamo Municipality MP Gerald Karuhanga who have been serving as PAC Chairperson and Vice Chairperson respectively. Agago Woman MP Franca Judith Akello is appointed new Chairperson of the Local Government Accounts Committee replacing Aswa County MP Ronald Reagan Okumu. She will be deputized By Kilak County MP Gilbert Olanya, who is replacing Chwa West MP Okin P.P Ojara. Kawempe South MP Mubarak Munyagwa is new Chairperson of the Committee on Commissions, Statutory Authorities and State Enterprises (COSASE) while Rubaga North MP Moses Kasibante is the new committee Vice Chairperson. These now replace Bugweri County MP Abdu Katuntu and Bukedea Woman MP Anita Among who have been serving as COSASE Chairperson and Vice Chairperson respectively. The Obongi County MP Hassan Kaps Fungaroo is maintained as Chairperson of the Government Assurance Committee deputized by Nakawa county MP Michael Kabaziguruka who is replacing Kawempe North MP Latif Ssebaggala. 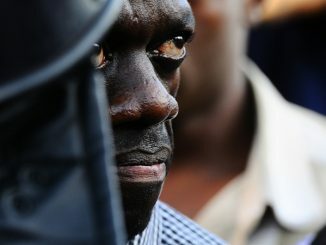 Addressing journalists at the FDC party headquarters in Najjanankumbi, Oboi said that the changes should not be treated as political persecution but for the well-being of the party and the well-being of their struggle to rid the country of the dictatorship that continues to torment Ugandans.